Hamas executes a Palestinian Arab officer accused of spying for Israel, the latest in a series of similar incidents. Hamas has executed a Palestinian Arab officer for spying for Israel, the Turkish Anadolu agency reported on Monday, citing a security website close to Hamas. "The 59-year-old officer, who is working for the Palestinian Authority's security apparatus, has been executed by the security agencies belonging to the resistance factions," the Hamas website said. According to the website, the officer had spied for Israel for 23 years. The website, however, did not say when the officer had been executed. There was no comment from the Palestinian Authority. Last month, Hamas executed 18 people in Gaza for spying for Israel. In the last week of July, Palestinian sources reported that over 30 Gazans were executed by Hamas, most of them in the Shejaiya neighborhood. In that case too, Hamas claimed that they were collaborators with Israel. Hamas has carried out many such executions since it violently took over Gaza in 2007. Under Palestinian law, collaboration with Israel is punishable by death. All death sentences, however, require the approval of Palestinian Authority (PA) Chairman Mahmoud Abbas before being carried out, and Abbas issued a moratorium on death sentences in 2005. 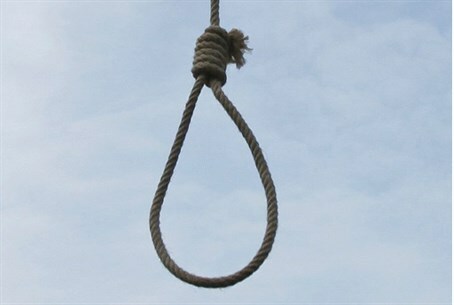 The PA blasted Hamas last month over its executions, saying they had been conducted illegally outside of the Palestinian court system and could thus not be considered to have gone through fair process.